From his childhood on a farm in southern Ontario, David Fraser has maintained a fascination with animals throughout his 44-year research career. With a degree in psychology (Toronto) and a PhD in zoology (Glasgow), Prof. Fraser did research on the welfare of farm animals (Edinburgh School of Agriculture, 1971-1975) and on the behaviour and management of moose (Ontario Ministry of Natural Resources, 1975-1981) before developing a research team on farm animal welfare and behaviour at the Central Experimental Farm in Ottawa (1981-1997). He joined UBC in 1997 as NSERC Industrial Research Chair in Animal Welfare. Inaugural Summit “Animals, Public Health and Ethics”, Johns Hopkins University, Baltimore, Dec 9-10, 2015. National Farmed Animal Health and Welfare Council Forum, Ottawa, Nov 23-24, 2015 (opening lecture). 3rd International Meeting of Animal Welfare Researchers, Mexico City, Oct 27-28, 2015. 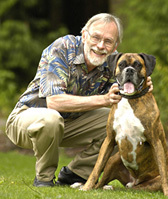 Prof. Fraser also works with many organizations to find practical ways to improve the lives of animals. 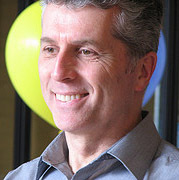 He has served as an advisor on animal welfare to organizations including the Burger King Corporation (Miami), the Food Marketing Institute and National Council of Chain Restaurants (Washington), the Food and Agriculture Organization of the United Nations (Rome), and within Canada on the Board of Trustees of the Animal Welfare Foundation of Canada. Currently he serves on the Animal Welfare Working group of the World Organisation for Animal Health (Paris), the National Farm Animal Health and Welfare Council, the Steering Committee for Verified Beef Production (Calgary), the Advisory Committee for the Centre for Zoo Animal Welfare (Detroit), an advisory committee for Institut National de la Recherche Agronomique (Paris), and as advisor on animal welfare to Loblaw Companies. For a video of Dr. David Fraser on animal welfare and the ethics of animal use, click here. 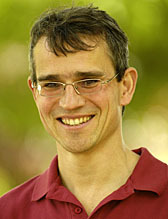 Dan spent his childhood in Quebec, the West Indies, Africa and the Middle East, and studied at McGill (B.Sc. & M.Sc.) and Oxford (D.Phil). After working for Agriculture & Agri-Food Canada for five years, Dan moved to UBC in 1997 to co-found the University’s Animal Welfare Program. Dan’s research interests have always focused on animal behaviour and how animals perceive their environment. Much of his work involves applying this knowledge to create practical improvements in how we care for animals. One special research focus of is on the use of vocalizations and other behaviours as objective indicators of different aspects of animal well-being. He is a pioneer in working to unlock the wealth of information animals can communicate to us about their physical and emotional states and their environments. Prof. Weary works closely with graduate students and other researchers in the Animal Welfare Program, especially those with an interest in farm and laboratory animals. Nina’s love of animals began at a very young age while growing up on a beef cattle ranch in British Columbia. During her child hood she was an avid rider and was an active participant in her local 4-H club. She went onto complete her undergraduate in Agricultural Sciences in the Faculty of Land and Food Systems at UBC, and her M.Sc. in Animal Science at the University of Alberta. She then returned to Vancouver to complete her Ph.D. in Animal Sciences at the University of British Columbia. Nina joined the Animal Welfare Program in 2002 as the group’s third faculty member. Today, with her colleagues, she leads a strong group of students, post-doctoral fellows, visiting researchers and adjunct professors that now make up one of the world’s foremost research groups working in the area of animal welfare research. 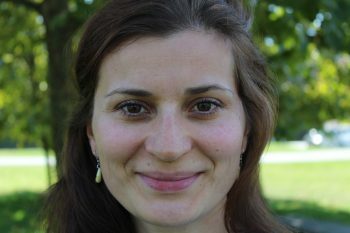 Nina’s interests include understanding the links between behaviour and nutrition, particularly in welfare related issues. Some of her current work in this area includes the use of feeding behaviour to predict animal health and productivity, specifically at the time of transition (when dairy cows are particularly susceptible to illness). She is also interested in understanding how knowledge of natural behaviour can help provide practical solutions to current problems in the housing and management of food production animals. Together with colleague David Fraser, Nina offers a second year undergraduate course “Animals and Society”. Nina is an enthusiastic mentor and is actively involved in graduate student mentoring. She also encourages undergraduates to engage in research and provides many opportunities for training in animal welfare science at the undergraduate level. Together with her students she publishes the majority of her work in Applied Animal Behaviour Science and the Journal of Dairy Science. Additionally, she regularly provides extension articles to producer magazines such as Progressive Dairyman and Western Dairy Digest. Beyond lecturing at UBC she gives over 25 invited presentations and seminars a year to audiences around the globe. Recent talks have taken her to many parts of Canada, the United States, Europe and Asia. Nina also serves on advisory and expert committees for the cattle industry and more broadly for the agriculture and food industries. These include the Production Executive Scientific Advisory Committee for the Dairy farmers of Canada and the Canadian Council on Animal Care. Do you love animals and nature? So does Sara. But she was told as a Biology undergraduate student that she had to choose – either become a veterinarian and care for animals OR a biologist and help conserve the environment – pick only one. This made no sense to her, as growing up on Vancouver Island surrounded by nature and wildlife, one did not thrive without the other. Sara struggled to understand why she couldn’t help both in her future career? Thankfully along the way of working diverse co-op jobs with Parks Canada, BC Ministry of Environment, Wild Bird Trust and volunteering with the Wildlife Rehabilitators’ Network of BC and BC SPCA Wild ARC – Sara figured out that she did not have to choose, but rather just get creative! After a B.Sc. at UVic, she completed a M.Sc. with the UBC Animal Welfare Program studying success in wildlife rehabilitation. Animal welfare science opened a new area of applied biology! Sara’s first job with the BC SPCA was as a contract movie monitor in 2001-03, observing the welfare of animals used in entertainment in BC. 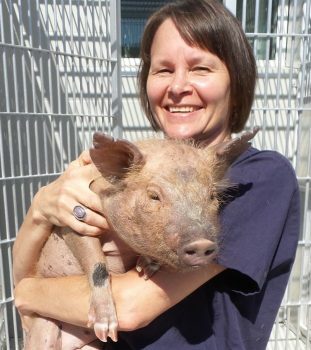 She went on to managing the BC SPCA’s Wild Animal Rehabilitation Centre (Wild ARC) from 2004-2008 and today continues to provide top-level oversight to the facility. Sara took on a provincial role overseeing wildlife and exotic animal programs from 2009-13 and returned to the Animal Welfare Program in 2010 with new research questions based on her experiences in wildlife welfare, conservation and policy. 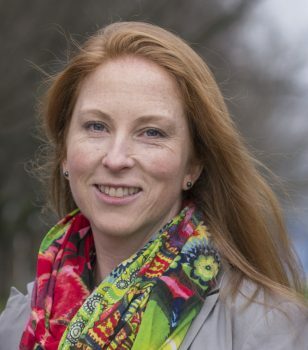 Sara became the BC SPCA Chief Scientific Officer in 2014 following completion of her Ph.D. and now directs province-wide welfare science operations, education and advocacy projects. She works on diverse issues from wildlife rehabilitation to captive wild animal management, exotic pets, urban wildlife, compassionate conservation and AnimalKindaccreditation programs. Her role also aims to develop relationships with academia and advocate for animals used in science. Along with other passionate animal welfare colleagues, she helped to establish the national non-profit organization Animals in Science Policy Institute in 2015. As AiSPI Board President, she works to provide education on ethics and alternatives for animals used in teaching, testing and research in Canada. A Registered Professional Biologist, Sara acts as an Advisor to the Whale Sanctuary Project, and she assisted in the hosting of the 2015 Cetacean Captivity Workshop and Compassionate Conservation conference in Vancouver. She is a former board member of the Wildlife Rehabilitators’ Network of BC (2004-10) and Past President of the Oiled Wildlife Society of BC (2007-12). Sara wanted to ensure that any other students who loved animals AND nature had opportunities for hands-on experiences to launch their compassionate careers. She created and offers APBI 496 Applied Animal Biology Practicums every term so that undergraduate students can gain experience outside the classroom – in roles of animal care, outreach, and advocacy – learning how to help both animals and nature. She further engages with students as a Directed Studies Supervisor and Doctoral Committee member at Royal Roads University, and as an Associate Academic at the Centre for Compassionate Conservation, University of Technology, Sydney, Australia. Canadian Federation of Humane Societies (Apr 21-23) – (1) Science Serving Animal Welfare; (2) AnimalKind: A Better Approach to Wildlife and Rodent Control; (3)Trophy Hunting in BC and the Great Bear Rainforest: What’s Next? Joanna’s concern for animals and the environment has always been an inherent part of who she is. At age 14 she decided she wanted to become a zoologist, and with that goal in mind she completed a B.Sc. (2006) in Biology and Psychology at McGill University in Montreal, the city where she grew up. Joanna first learned of Animal Welfare Science as a discipline near the end of her undergraduate degree, and knew instantly that this was what she was meant to do. Soon after graduation, she moved to Vancouver to pursue her M.Sc. (2008) in laboratory animal welfare at the UBC Animal Welfare Program. Her early research focused on humane methods of euthanasia for laboratory rodents; euthanasia is the most common laboratory procedure, and yet the most frequently used method of euthanasia is aversive to these animals. During this time, Joanna developed an interest in more general issues affecting the welfare of rodents used in research. For her PhD (2016) at UBC, she studied the life experiences of rats housed in standard laboratory conditions compared to rats living in semi-naturalistic environments that allowed the performance of natural behaviours such as burrowing, climbing and upright standing. Since 2018, Joanna works as Laboratory Animal Advisor for the Animal Welfare Institute, an NGO based in Washington, DC. She is also an Adjunct Professor at UBC, which allows her to continue to conduct research and mentor students at the University. Joanna is interested in deepening our understanding of what constitutes a good life for animals and the ways in which this can be achieved. Joanna’s work on laboratory rat welfare was recognized by the 2016 NC3Rs International 3Rs prize. She gives frequent presentations in Canada and abroad, and serves on the Board of Directors for the Animals in Science Policy Institute and on the Canadian Council on Animal Care’s Standards Committee. See a list of Joanna’s publications here. Cathy’s personal and professional life has always been intertwined with animals, whether as a teenager living in Tanzania visiting the Serengeti for holidays, as a social scientist interviewing beef ranchers in Alberta or as a veterinarian caring for laboratory rodents. Her compassion for animals and desire to safeguard their welfare has been the driving force in her career. Cathy has a BSc in zoology from the University of Guelph and an MSc in Zoology from the University of Alberta. She then went on to do a PhD in animal welfare at the University of British Columbia and more recently a DVM at the University of Saskatchewan. Cathy is currently a Clinical Assistant Professor in the Animal Welfare Program and a Clinical Veterinarian in UBC Animal Care Services. Cathy’s research interests include understanding the relationship of humans with animals, research ethics and researching practical ways to improve the emotional experiences of animals involved in animal research. Her work attempts to apply research findings to improve policy and practice and resolve conflict related to animal welfare.